If you plan to attend graduate school, law school, or business school, we can help you realize your academic goals. 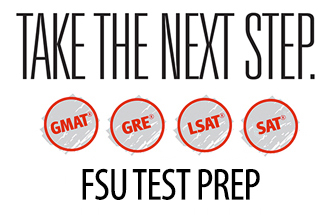 With test preparation courses for the GRE®, GMAT®, LSAT®, and SAT® FSU Test Prep is Tallahassee’s leading test prep solution. Standardized test scores on the GRE, GMAT, or LSAT, are a major component of your graduate school application process. These tests play a significant role in determining the future of your education. Standardized tests help determine your admission status and are often used in awarding merit-based scholarships, grants, fellowships, and assistantships. 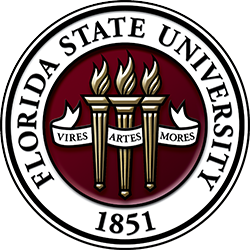 Let FSU’s Test Prep program help you prepare for and ace these important exams! Our test preparation courses were designed by a team of former standardized test item writers and test preparation experts. Our experienced and professional instructors are highly trained and care about your success. Let us help you achieve your goals! Online courses are now available! Considering an MBA? Let us help you get into the program of your choice. 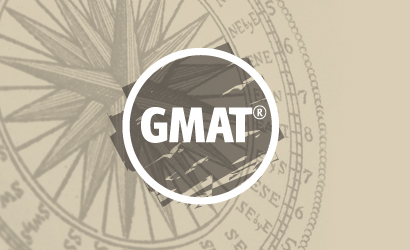 The GMAT is the preferred exam for many top-ranking full-time and part-time MBA programs. Our professional instructors will help you understand each section of the GMAT, dissect each item type, and develop a comprehensive plan for test day success. Seeking a graduate degree? 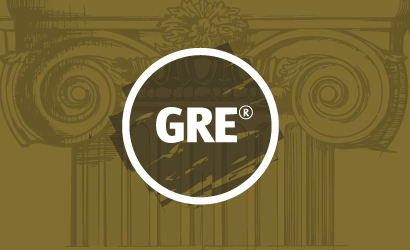 The GRE revised General Test measures critical thinking, analytical writing, verbal reasoning, and quantitative reasoning skills that have been acquired over a long period of time and that are not related to any specific field of study. The GRE is required for a large variety of master’s degree and doctoral degree programs. Master’s in Education (ME), Social Work (MSW), Nurse Practitioner (NP), Business, and Public Administration programs often require or accept the GRE exam. 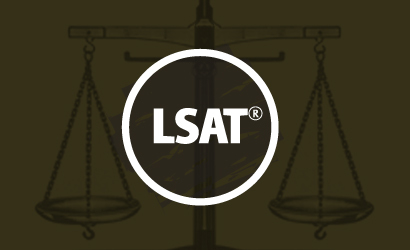 The LSAT is a paper-based standardized exam that is administered four times per year. 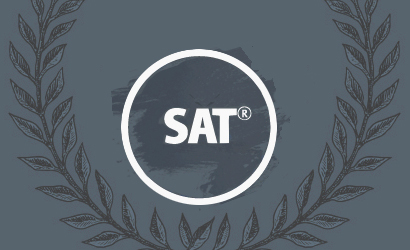 Our LSAT Test Prep Courses are precisely scheduled to make sure students reach test day performing at their peak. Take the mystery out of the LSAT and get the tools you need to succeed on test day! FSU Center for Academic & Professional Development offers this special opportunity for you to revive your educational experiences at FSU. Take advantage of a special 10% discount on many of our adult education courses available in Tallahassee and online. All FSU alumni and Military are eligible. Come back to FSU! To receive the promo code, please call: (850) 644-3801 or use the contact form below. If you do not request the promo code before registering, it cannot be applied to your account.